Espe works in an integrative and creative way. Sometimes the process involved in using the arts can help in finding the right words to express feelings. Sometimes words alone don’t seem to be enough and the arts may be able to convey something more fully, or to get behind the words to find the real meaning. 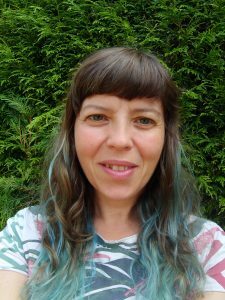 Espe works with general disorders or specific issues having experience in working with: anxiety, depression, bereavement, difficulty in relationships, OCD, attachment disorders or trauma. Sessions are tailored to every individual with respect, genuineness and empathy. Espe creates a non-judgmental, open and safe environment, allowing the clients to explore creativity, personal growth and self-development. During the sessions, you could work with pastels, paints, clay, sand tray, active imagination, visualization, drama, post cards, bodywork or mindfulness. It is a tailor made service where you will feel free and safe to explore, rediscovering productive imagination using the right media for you. No artistic experience or ability is needed to benefit from these sessions.